Adventures in Literacy Land's book study on Reading Wellness: Lessons in Independence and Proficiency by Jane Miller Burkins and Kim Yaris begins today! I will be following along and posting my thoughts on each chapter here. Make sure to read my intro on the book to become familiar with the structure and find out how to access it online (from Stenhouse Publishers) if you want to check it out before purchasing. Today I'll be discussing Chapter 1 (read Andrea's post on Lit Land as well if you'd like to see another perspective). A couple of years ago I wrote a blog post about whether or not I was in still in love with teaching or just the idea of it. This quote from the beginning of the chapter brought me back to that exact idea. "Many of us have found ourselves working toward test scores while hoping toward the visions inscribed in our hearts. 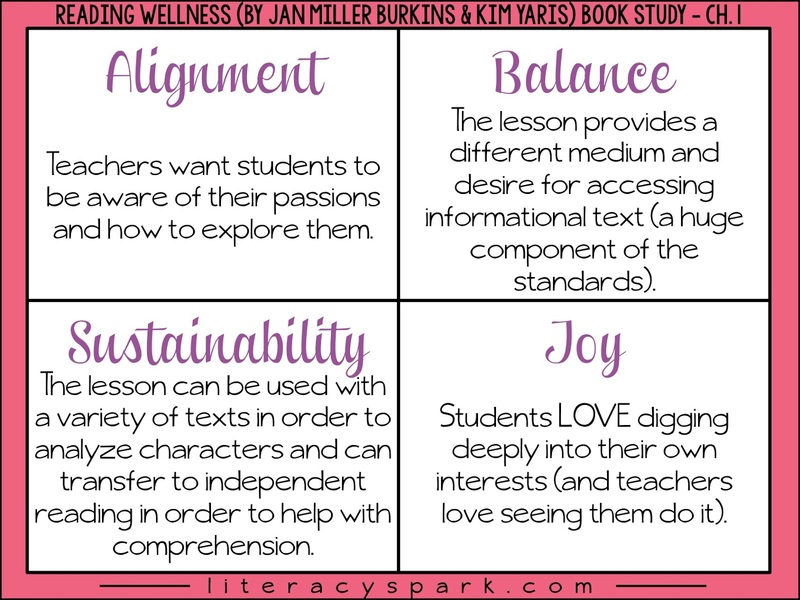 This misalignment affects our general wellness in and out of school, and it can make us feel as if we have fallen out of love with teaching (p. 15)." Yes! Have you felt this way before, especially in the last few years with all the pressure of standardized testing? 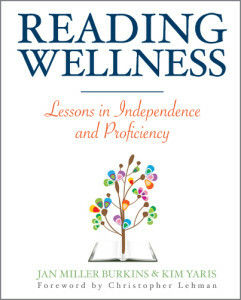 I really appreciate the way this book connects to the reality of being a teacher and attempts to not only improve the health of your readers, but our own sanity as teachers as well! Burkins and Yaris mention how we help students set reading goals and they attempt to reach these goals because they know "what readers do." Readers read smoothly, they read fluently, they read a variety of genres, they think about what they read, etc. But the authors question how useful setting these goals are. How often do we return to them? I know I'm guilty of having them there on the wall, but not referring back to them. Often, they aren't even measureable so there's really no way to even know if they've been met. Instead, the authors suggest focusing on what makes children WANT to read. I agree with this thought...because if they truly want to read, odds are everything else will come naturally, or at least easier for most kids. Sort of like working backwards. How many children do you know who read "Diary of a Wimpy Kid" even though it was way past their reading level? I know many, and yet somehow they did it simply because they wanted to and it fulfilled THEIR desires. 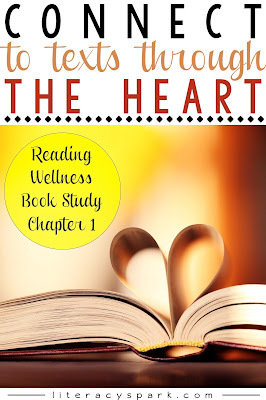 The lesson presented in this chapter is titled Heart, Hands, and Feet. While I am not going to describe the entire lesson in detail (get the book! ), it provides a purposeful framework for reading informational text, specifically biographies and autobiographies (and yes, this includes plenty of picture books, there are samples included). The lesson helps students identify passions of the main character in the text and how his/her actions as a child shaped his/her future. In order to truly do this, students must read closely. All the while, students can make connections to their own lives and start to understand how their choices now may affect their lives later. It pushes students to really think about and explore their interests. As the authors mention, every child does not truly want to be a police officer or a teacher when they grow up. They have other interests in life that lead to other outcomes, they just don't know it yet! What is it that they truly LOVE learning about and/or doing? There is a great graphic organizer and anchor chart in the book using the body that I know will be super relatable to students. By taking this lesson beyond the texts, teachers can also use it to determine their students passions and interests making it a great lesson to use at the start of the year rather than a simple interest survey, which really is just an isolated activity without much instructional purpose. Most of us start the year with fictional texts whereas this would provide a great opportunity to incorporate informational text right off the bat in a meaningful way. 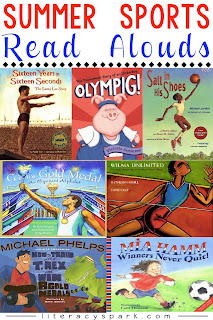 As a side note, I previously wrote a post for the upcoming Olympics that includes a few biographies of athletes which would be PERFECT for the above activity and tie into current events if you start school early. All of the althletes shows a true passion for their sport early on and their choices and actions allowed them to become who they are today. Click the image below and scroll down until you see it in the post to find some brief summaries of the texts. As I explained in my introduction to the text, the authors have four main intentions with each lesson in the book and end each chapter explaining how they are met. 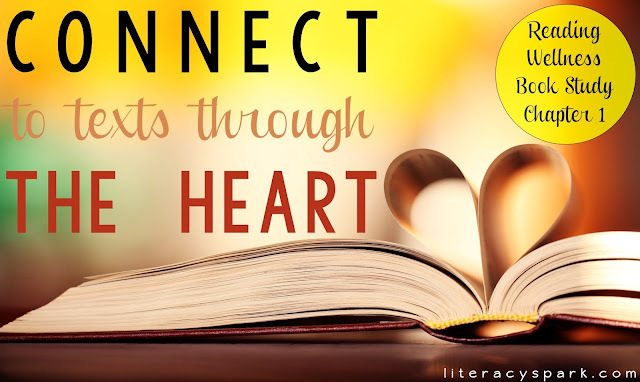 How do YOU ensure that your students are reading books that interest them, ignite their passions, and provide a connection to their lives?